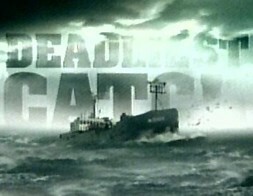 I'm a big fan of the TV show Deadliest Catch. These guys are truly crazy, facing 50 ft waves crashing onto the deck. Crab fishing on a nice calm lake is not something I would want ever want to do, let alone under the extreme conditions of the Bering Sea. However, since we can't live without our crab legs at the all-you-can-eat buffet, being a crab fisherman is lucrative enough for some people to risk life and limb. Apparently, the average deck hand on Deadliest Catch makes 1-3 percent of the ships earnings, which can translate to between twenty to forty thousand dollars for one session of fishing. And after red and blue crab season, there's opilio or snow crab season and after that comes cod fishing. In a given year, crab fishermen can clear six figures. But they also have a statistically significant chance of an early death. So how can we apply some lean thinking to a dangerous job like king crab fishing, perhaps make it a little safer and improve the process? After a few seasons of Deadliest Catch I think I have the basics of crab fishing down. Stack it with as many crab pots (cages) as it can hold. Tie some bait in the crab pot. Throw the crab pot overboard with a buoy attached. Come back in 12-24 hours and pick it up. Empty all the crab from the crab pot into your holding tank. Repeat 3 to 6 until your boat is full of crab. It's just fishing. Simply toss your pot into the water and wait for the crab to come. Unfortunately, it's not quite as relaxing as sitting by the local fishing hole with your line in the water. The sea is crazy rough most of the time. The crab pots are 800 lbs each, i.e. very heavy. You can't see where the crab are. Most of the accidents and near-misses happen while trying to manipulate 800 lb cages around the deck in storm-like conditions. And of course, all this life-risking work is for naught if you pick the wrong spot and your pots come up empty. After analyzing the current condition, I've come up with a simple kaizen that will address the second two difficulties. Unfortunately, I couldn't figure out an easy way to tame the sea, so I've decided to focus on the second two difficulties. The video below shows a full blue crab pot being hauled out of the water on the Seabrooke. The crew is loving this catch! This pot could be half the size and still hold well over 29 crab! Kaizen: Use crab pots that are half the size. Disclaimer: I really don't know anything about crab fishing. If you start researching crab rationalization and fishing limits, this kaizen may not necessarily be legal. This is meant as a thought experiment and a little bit of fun! If each blue crab pot is half the size, it will only weigh 400 lbs. But it should be able to pick up the same amount of crab. This means it'll be easier to move around. People won't be crushed as easily under errant crab pots and the job will be a lot safer. The crew can clean the put out quicker, turning it around and getting it back in the water quicker. After kaizen, the crew is happier and safer. Almost like working in a bank, just a little wetter and not quite as exciting to watch on television. If each crab pot is half the size, you can hold twice as many on your boat. With twice as many pots, you can lay down more "strings" or rows of crab pots. More pots in the water, means more chance to find that prime spot. And you can leave them in there longer as you spread out your gear. Leaving them in the ocean longer means you can catch more and the little ones have a chance to escape out of the small holes. They're not allowed to catch the youngsters. Take the current method. One ship, the Northwestern, owned by the Hansen family, can hold 200 crab pots. These are the 800 lb monster crab cages. Let's say they drop 4 strings of 50 pots and come back to the first pot in 24 hours. The crew gets tired and cranky and almost severely injures themselves multiple times. After kaizen, the ship now hold 400 crab pots, twice the number. Now the Hansens can drop 8 strings of 50 pots and cover twice the distance. Assuming this takes twice as long, they'll be back to their first pot in 48 hours. This gives the crab pots an additional 24 hours to soak (sit in the water attracting crab). So what have we accomplished? Twice the crab in twice as long? Doesn't sound like much of an improvement, except for the fact that we are covering way more ground, or ocean as it were. This addresses Difficulty #3. We can't see where the crab are. More pots on the ocean floor, means more chance at successful ones. 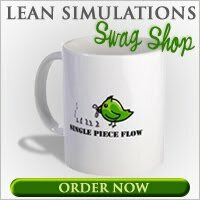 Now that I've solved the inherent dangers in Alaskan crab fishing using lean techniques, it's time to purchase a crab boat. Anyone want in? I'll go halves on a boat! I, too, know nothing about crab fishing, but I think this is a really neat example of Kaizen thinking. It would be interesting to try to extend the thought experiment to exploring the cost associated with using different pots for different species. It seems like I remember that 29 per pot is pretty good for king crab, but averages of several hundred per pot are good for snow crab. They use the same pots, just modified so that different sizes of crab can get in or out. Yes, I do believe you're right about using the same pots. I'm guessing the cost is pretty high for each of those steel cages. But here's a thought. 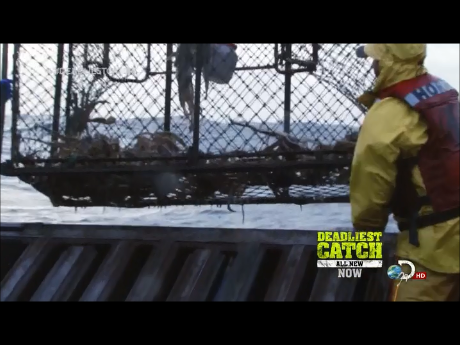 Since they would be hitting their quota earlier, why not share crab pots with another boat? They could take turns, assuming there's enough crab to go around. That's another neat idea. Hitting your quota earlier means you're done with the pots, so don't let the pots sit around doing nothing. I also find articles like this one interesting that describe how taking longer to catch all of the crab has improved the industry. Apparently, "the crew is happier and safer" is a much more important goal than was realized for years!